After the satisfying and yet perfectly dissonant conclusion of last week’s thrilling, relentless “Run,” we have skidded violently down the many heart-pounding left turns in Dexter’s latest installment, “Swim Deep!” Few episodes have ever kept us so immersed in the depths. And newer faces are becoming familiar—a little too familiar for comfort. Have you come up for air yet? If not, catch the upward current and check out the mini-synopsis below, followed by an in-depth review of just what Dexter is getting himself, his beloved sister, and the rest of Miami into, right after the jump! Seat belts and life jackets recommended. Breathe deep, and let's do this. CAUTION: SPOILERS AHEAD. MORE SCREENSHOTS COMING! THE BREAKDOWN: After a violent up-and-down go of things in the reconciling Debra to the nature of his darkness, Dexter talks boat and life maintenance with the angel-on-the-shoulder Harry, who warns Dexter that Debra has not yet accepted him and may not ever be able to do so. 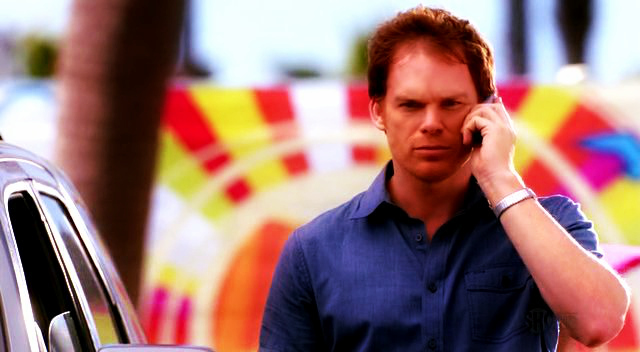 Dexter argues on the behalf of Debra’s incredible resilience until he abruptly discovers a bloody mess on the side of the Slice of Life’s deck. It isn’t long before the blood tells all and a rather unwelcome but disconcertingly comfortable guest appears in Dexter’s apartment. 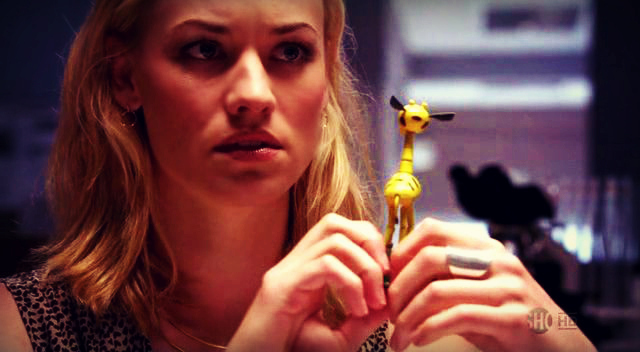 As Dexter seeks to outmaneuver a potent new foe and protect his faithful sister in the process, he encounters a familiar darkness in the blonde, beguiling Hannah McKay, who is sticking with a lie that he immediately sees through and into, deeper than either of them yet understand. Meanwhile, Quinn finds himself in a dangerous position with Nadia and the operators of the Foxhole, and Debra realizes that her repeated interventions in Miami Metro cases on Dexter’s behalf aren’t simply out of common courtesy, but out of a loyalty and love she can’t seem to shake... Skip the jump for more! If any one word could be said to describe the intoxicating series of events in “Swim Deep,” it’s “circling.” Or perhaps “gaining.” Everyone is starting to circle someone else. Everyone is gaining on someone else, or has someone else gaining on them. And, oh, are these circles ever starting to overlap. Isaak’s gaining on Dexter, who quickly turns the table with a few dexterous flicks of the wrist. Dexter’s gaining on Hannah, who is only inviting him to come closer. 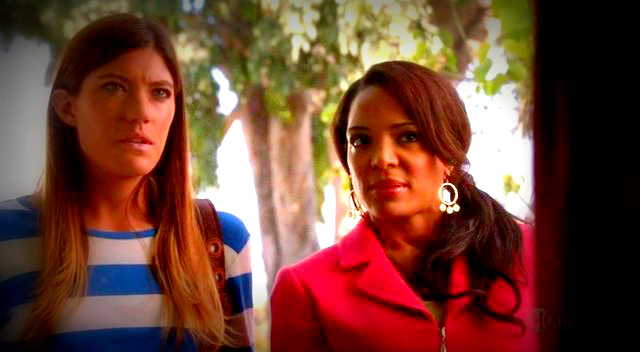 LaGuerta is unwittingly gaining on Dexter, whom Debra is sacrificing her everything to intercede for. And, well, Debra’s own heart is gaining on her, if not the vengeful fury of Isaak and whatever comrades are on the flipside of prison, waiting to stir up some hell. Circling, circling, and circling some more. The game is in sweet motion, and slowly but surely every individual is finding their place in a great dance that is going to carry us to an endgame that will surprise and captivate us all. That’s the beauty of this season: every character acts as a cog in a big, brilliant machine that we are only just starting to glimpse. I would dare say that this show is circling us. We’d better not keep our backs turned for too long—something about this season is incredibly unforgiving and hungry to astonish. Let’s break down these complex circlings here, shall we? Firstly, we are thrust into the Dexter-Isaak circle into which Dexter is finally drawn; a fierce, tactical, and treacherously charming Isaak Sirko is a reckoning force, alright. And he's tearing his vehement way down a warpath which is fueled by a vendetta he can’t ignore. Disturbingly enough, he just might be talented enough to fulfill that wrath. Dexter is willing to play a little bit of cat and mouse—until his sister is brought into the picture. An opponent who does his homework is far from fun to toy with when death is on the line, and when the one person you truly love is being reeled in towards that chopping block. 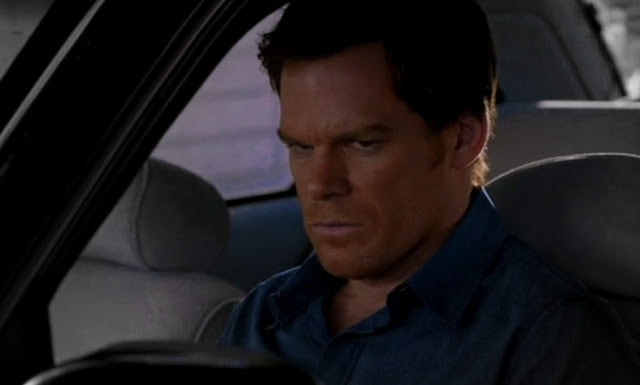 Dexter quickly disengages Isaak before he can shred him to bits in the sacred space of his apartment, and once he discovers the terms of Isaak's colorful ultimatum, he brings Debra to a parking garage to inform her of a temporary adjustment in their joint living situation until Isaak can be effectively dealt with. Of course, in this process, Debra discovers that the air into which Viktor had vanished was actually Dexter’s, which is a serious breach of the trust she is desperate to place in her wayward brother. She isn’t fond of the idea of Dexter not only catching those who slip through the cracks, but creating the cracks through which those who might get caught can slip, so to speak. 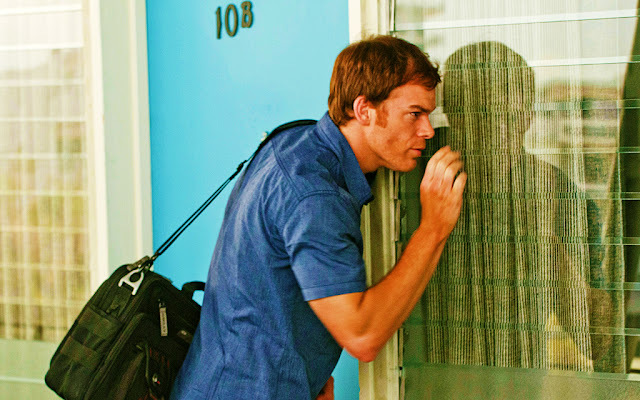 And so a circle within a circle appears as Dexter and Debra settle down for the night in a cheap motel, where Dexter is devising a plan to ensure Debra’s safety and where Debra is beginning to dig into sweet reminiscences of her past with Dexter. 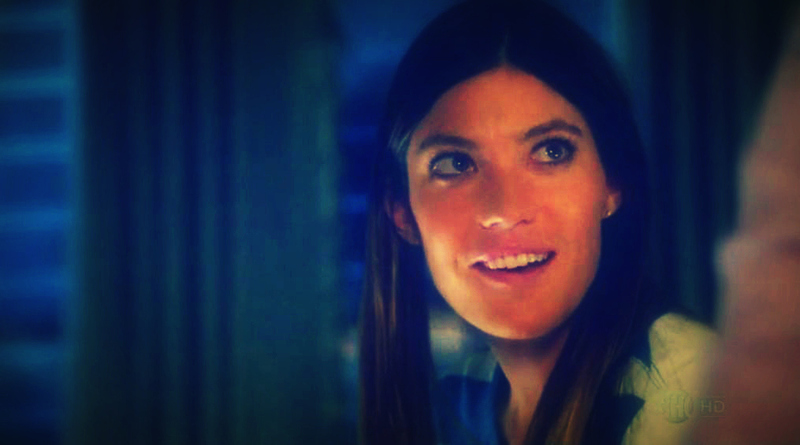 No longer anxious to understand every obsidian facet of Dexter’s heady darkness (in fact, she later asserts to Batista in a heartbreaking lie that “the hardest thing I’ve learned about being lieutenant is knowing when to back the f**k off down”), she starts to cling to the light she knows persists in him. Here is where the writers begin to return to the “incestuous” undertones brought the surface of the story in season six that were put on hold by the shock of season seven’s onset. 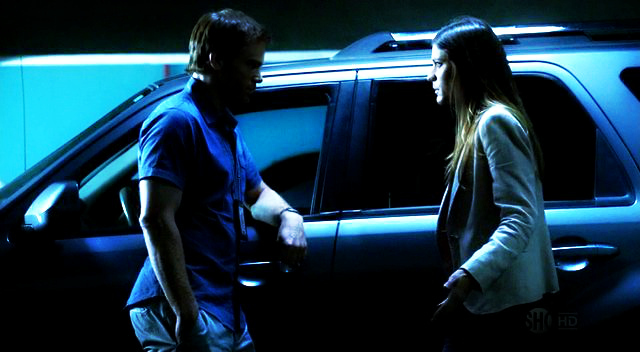 (Editor’s note: I have come to enjoy the idea of Dexter and Debra’s romantic togetherness, despite the controversy! I’m approaching the issue from a place of warm admiration and hope for an intimacy between them, however that may unfold. But, I’m not saying everyone is going to dig into that in the same way, or perhaps at all. It is still very fascinating to consider how this trauma is starting to draw them closer together.) Debra shyly averts her eyes as Dexter removes his shirt before he crawls into bed; she is embarrassed when she prepares to hunker down into the bed that Dexter lets her know is his, since he wants to be closest to the door as her protector. 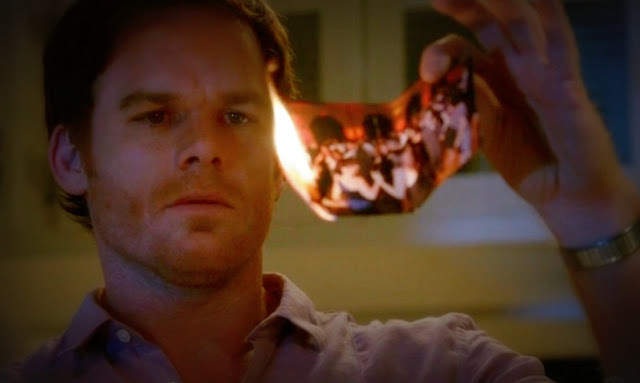 As the two of them attempt to ready themselves for rest in the midst of the stresses that are closing in on them, Debra remembers with Dexter their trips to Myrtle Beach and how Dexter would never take his eyes off of her—which, he says, was because he wanted to make sure she wouldn't drown. 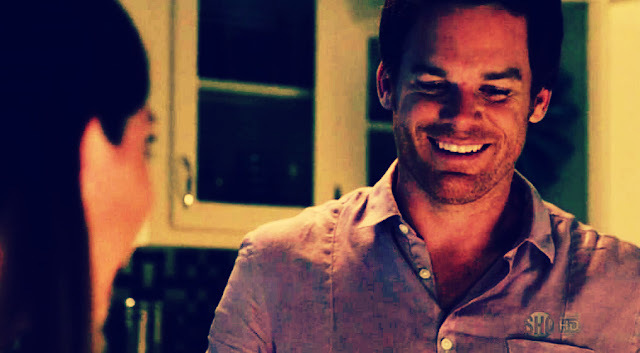 At last, Debra realizes with a gentle smile that he’s her “hero.” Remembering the light in Dexter to which she has always been drawn anchors her and scares her, because until this point she has been trying to keep him at arms’ length, with the Dark Passenger looming between them. Of course, the revelation of Dexter’s Dark Passenger to Debra causes as well as compounds Miami Metro Homicide’s investigations; cue the return of the Bay Harbor Butcher (who, as WE know, never left!). The reemergence of Debra’s yearning for more-than-“sibling” intimacy with the “one constantly good thing” in her life leads to dramatic shifts in her thinking and plays with her own holy ‘Code’ of ethics and above-board police work. Yet, she is as quick to take as much control over the case that LaGuerta is quietly reopening as she was quick to fetch the gasoline to light the church on fire in the season’s pilot. She has returned to a place of protection and intense concern for her brother, which means playing fast and loose with a Code she never would have imagined she’d skirt around as a stick-to-the-old-guns lieutenant. In fact, as she tries to throw the ever-perceptive Batista off the “who-done-it” case regarding the true identity of Mike Anderson’s shooter, she even owns that “Mike got justice.” Maybe, just maybe, there’s something to Dexter’s lizard brain that she can’t ignore even if it means personal compromise. It isn’t so much a compromise as a choice: who can she live without? Her former self, or her brother, who has continued to be there for her in ways you would never think a sociopath would dare or care to? Her choice comes with a high cost that she is finding herself picking up the tab for. And she owns her debt; she feels it in her veins, as we could see in her true-to-her-Debra-self breakdown in the elevator over realizing Dexter’s new jeopardy. “Jeopardy” is another fitting term regarding where everyone in this powerful, sickeningly-thrilling episode is at! 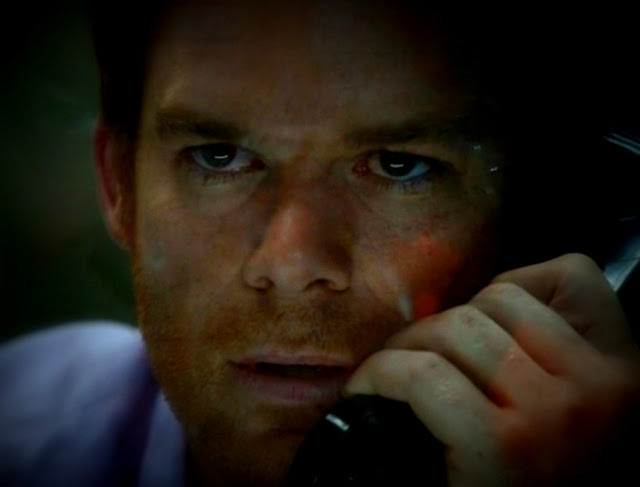 Dexter finds that Isaak is a bit of a “f**kin’ terminator,” to put it in Deb’s terms, as Dexter tries to seal the deal of Isaak's violently-oriented life. (Also, hats off to the cinematographic style here! I was reminded of The Boondock Saints with how Dexter's explanation of what happened at the Columbian bar was interwoven into vivid flashbacks of those events that unfolded. The dramatic effect was riveting!) 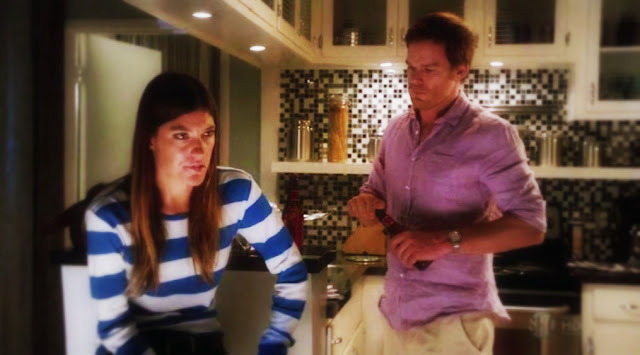 And the pretty, mystery-laced Hannah is also in jeopardy of coming under a tense Dexter’s thirsty knife. Not to mention Quinn’s pretty little games with Nadia are finding him in a place of destructive compromise with the Foxhole crew, who are hoping to dirty up Quinn's hands in order to silence his mouth and stifle any corrective action against Isaak and his affiliates. 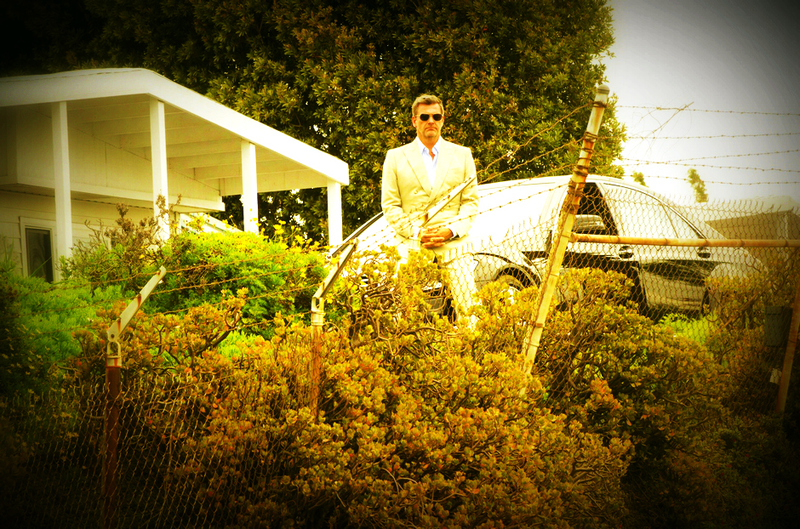 And while Isaak finds himself behind bars due to Dexter’s blood findings at the scene of the crime he had orchestrated (in hopes that Isaak would breathe his wicked last there), Isaak takes to the cuffs with a sort of “I’ll-be-back” swagger that is reinforced by his final confrontation with Dexter. Dexter is looking to seal a deal that Isaak opens with an even hotter vengeance; we can be sure that he’ll make good on his offer of keeping up the game. He may be imprisoned, but he's got his foot in a door that won't be shutting anytime soon. New doors are opening, and new circles are forming and convening as this incredible story surges forward! How did you react to “Swim Deep”? Share all of your thoughts, comments, agreements and disagreements below as we wait to take the next wild, wild step!